Stage Milk / StageMilk Acting Blog / Can you Practice Acting on Your Own? At the conclusion of every year at drama school we’re sent home for nearly 3 months to try and have a holiday. This for me means flying for five hours to the other side of the country to the idyllic, quiet beach town I call home. Arriving home this time, unlike when I finished my first year (which left me a broken down mess), I was feeling deeply motivated and eager to continue acting. I decided I would contact everyone in my local area and explain that I was studying at drama school and would love to do anything in the area of acting; be it watching rehearsals, reading a play, helping teach or really anything. My contacting resulted in an audition for the stage version of The Full Monty, to sit in on a pantomime rehearsal and an opportunity to work in a youth acting workshop. The final of these options was the only offer I pursued, and it turned out to be fantastic! 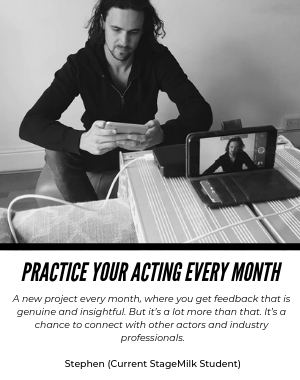 I learnt some great lessons which you can check out on the acting tips page. However, while it was beneficial, it didn’t really help me practically develop my acting skills, or grow as an actor. So Actor, here is my wisdom. As I always say, take everything I say with a grain of salt and if you intend on reading more of my pages I recommend you purchasing an entire bucket. I like to think of acting as being a well-balanced hodge-podge of a few key areas: Voice, Movement, Knowledge, and… Acting. Voice can be practiced and developed. It is one of the most tangible elements of acting in that you can notice changes in your ability and quality; your vocal range can improve, you can test your lung capacity, notice deep breathing, enhance articulation and develop better alignment. If you can get into regular practice—I was told by a speech pathologist that even just five minutes a day will do the trick—you will start to notice profound results. Movement, defined by Stagemilk as everything to do with the physical development of the body, is again a tangible element. You can witness an increased flexibility or notice your relaxation and energy levels increasing. 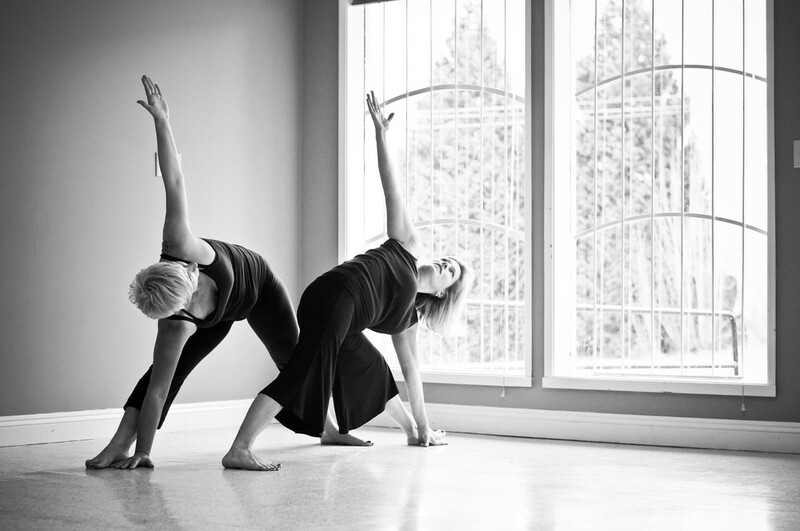 I would recommend techniques such as Yoga, Feldenkrais, Pilates, Meditation, Tai Chi, Qigong, Contact Improvisation or really anything that doesn’t rely on tension and stress for results. If you do lots of gym work make sure your breathing isn’t held and that you stretch thoroughly after the session. Knowledge: what do I mean by knowledge? In almost every acting course in the world there is a component of text analysis or theory based education. These days more and more schools are moving towards a more academic approach to acting. I believe this is a foolish move as creativity, in my opinion, spurs from practical work. However, an element of text work, as well as background knowledge of drama and the history of theatre, is important. One of the reasons I created this site was to increase my own knowledge as knowledge feeds your creative work. In every creative field our influences are what help us create new work. Accordingly, reading plays and picking them apart, keeping up to date with the news, listening to a wide range of music, looking at great art—these are all essential stimuli for an actor. I believe creativity works best when the mind is flooded with a whole spectrum of sources from which inspiration and creativity can flourish. It also helps us to appreciate theatre and all art in a more profound way. So as this pseudo acting ‘lecturesque’ blog comes to a close, I put forward the question: can you practice acting on your own? Well I was told “yes!” by Kevin Spacey in the workshop I recently undertook in Sydney and I totally agree. I firstly felt that confidence, for me, is a particularly important aspect of acting. Getting up on stage and not giving a damn whether a friend, teacher or fellow actor is sitting right in front of me in the audience. Keeping true to the text and the character you have created. And this facet of acting can definitely be dramatically improved. Text, text and more text is the key to our world. It’s our inspiration and all we really have at the end of the day. Therefore, sit down with text. Aim for good text. Check out my list of best plays to get started and if you can analyse it – dictionary the words, try to think like the characters, really invest in the play. Learn monologues and perform them to whomever you can convince to listen, if your friends aren’t interested, your persuasion skills aren’t the best, or you’re just plain boring and painful to watch, then you should immediately begin mounting a deep and intimate relationship with nature. I know the title of this blog is ‘Can you practice acting on your own?’, however if you’ve got this far, you love me and want to be sprayed with more juicy stage milk. So here we go: If you can, practice with a scene partner – even if the scene never gets seen by anyone, just talking it through with someone can be a great experience. 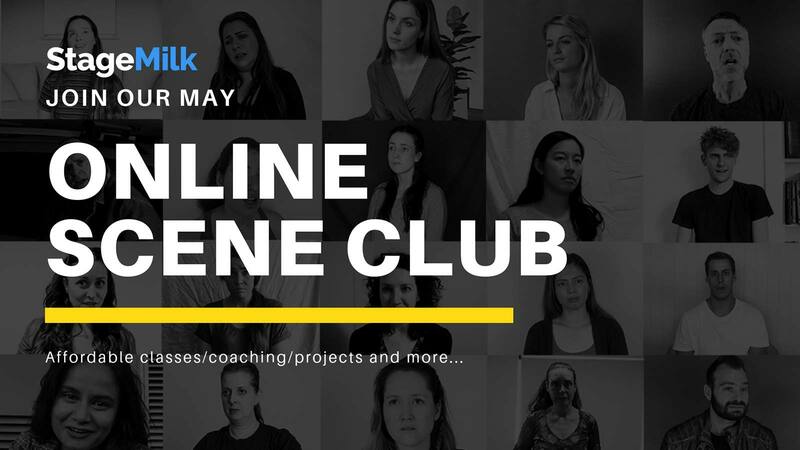 If you have a few actor friends set up a scene club or a self test group where you get together once a week and work on scenes with each other. Well there you have it – the answers to the acting mystery given out in a mere 963 words. Truth in acting is a superb mystery and a hard one to solve, but if you can develop these four areas in any slight, minute way it will be of course beneficial to you as an actor. Whether you are studying acting or currently acting professionally as a waiter, practicing and training means that when the opportunity arises you will do a much stronger performance in your audition and hopefully in your role because you have been fine tuning your instrument. In every other creative field the people that are constantly training and developing their skills move to the top and excel, so why should acting be any different? Now go and act in your lonely dark room or with a pretty shrub.